This article , From Forbes Magazine identifies that CF is “new” in today discussions, yet it has been around for centuries. A simple definition, It is the accumulation of small amounts of funding in support of a an idea, product or cause from the community at large. 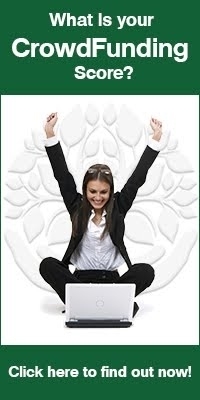 Todays modern version, is oriented to use the Internet to reach that supportive Community or Crowd. The key steps is a dedicated effort to build “your Crowd”, leveraging all the socail media and email efforts is an absolute necessity to successfully showcase and fund your effort. Campaigns Highlighting the Economic benefit, “focused on not what you are doing, but why you are doing it” have been well supported, as well as efforts to aid the innovative business or StartUp in our sluggish and stagnant economy, especially those seeking jobs and employment. Brought to us at “RedOrbit”, and brings a very valuable aspect of CrowdFunding to light. The Charitable cause, in this case, Autism Research. Most of us have heard of and scene many of the research and diseases related efforts that need some form of ongoing and special research help. This fits the success model of CF since it is reaches out to the general public , it seeks small increments of donation support and will help a very special cause, that of children afflicted by this illness. KOULE the Smart Ball - a child development device that comes pre-loaded with games forautism-specific applications. This is a similar story to the Autism research, we just highlighted. It is about the Friends and family that have turned to social media & CF to help Drew Lewis and Amy Blansit pay for thousands of dollars in medical bills while he fights stage 4 colon cancer. This effort is utilizing A key element of a Successful CrowdFunding campaign, is a very touching and candid family video, highlighting the steps of the medical processes and the family’s struggle dealing with a distance of nearly 800 miles and the need for help from people all around the world. The effort has reached around the world and to achieve the surgery funding goal that the Insurance Carrier denied to cover, saving a father and husband fighting this potentially life ending cancer. 2) Turning to another aspect of CrowdFunding and all that is happening with this new legislation. The vast potentials attainable for Businesses, Charities and numerous other creative uses of “the incremental funding process”. A very interesting article ...Utilizing the CrowdBuilding component of CrowdfFunding called “CrowdSourcing”. This important fundamental CROWD BUILDING is a basic component of all the forms of CrowdFunding, CrowdSourcing and all the Crwod Enabled methodologies. This article outline the use of the Crowd to design, test and improve computer and mobile apps to enhance the efficiency of the use of energy. By gathering this use data at the meter from participating households, many uses and efficiency capabilities can be now available to the consumer, any where they are and can turn off and on the energy consuming resources from their home or office, better managing their consumption and usage trends. Sounds like we truely are in the “Network Age”! After a tumultuous four years spent rehabilating the Agency’s battered reputation, Mary Schapiro will step down next month as ChairWoman of the SEC. Commisioner Elisse Walters, a career SEC regulator in support of Ms.Schapiro’s policies and leadership efforts, will “manage the store” until approval from the Senate is secured for a long term replacement. The new chair will need to continue the SEC restructuring process, money market reforms, market structure safeguards, rules to implement the 2010 Dodd-Frank financial reform legislation, and many other regulatory issues including the bi-partisan approved and supported JOBS ACT 0f 2012, that allows Debt & Equity Based CrowdFunding in the USA. With the SEC Board now split 2-2, between Democrats and Republicans, it appears that it will become deadlocked and the JOBS ACT could be indefinitely delayed, further limiting the Business community . finding sources of Capital and new Economic Growth. Let's contact our Congress and make sure this delay does not happen! AERO is a beautiful, open-world 3D bird-flight game that teaches the physics principles behind the power of flight. Bill Nye the Science Guy is part of CrowdFunding Campaign hosted by Kickstarter. Campaign pitch : AERO is a beautiful, open-world 3D bird-flight game that teaches the physics principles behind the power of flight. As of today there 29 days left and ends Friday Dec 28, 10:59am EST. Brand New Mindless Self Indulgence Record! .... IT IS UNHARMED FOR NOW !!!! IF YOU EVER WANT TO HEAR IT, THIS KICK STARTER PAGE MUST REACH 150,000 IN INCENTIVES ....IF WE DON'T REACH THIS GOAL, WE WILL NEVER RELEASE THIS NEW M$I RECORD EVER !!!!!! Campaign pitch : LISTEN CAREFULLY DEAR FANS WE HAVE YOUR NEW MINDLESS SELF INDULGENCE RECORD !!!!!! Campaign pitch : A 16th century vigilante appears on the streets of Venice, Italy. Death follows in her every wake, but who is she & what does she want? 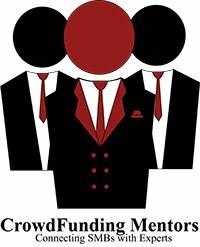 The 4th section of our show is dedicated to CrowdFunding Conferences and Educational Events across the Country hopefully near you, where you can attend and participate, meeting with CrowdFunding experts that are available to help you understand and even use some of the most successful CrowdFunding techniques. David's , what is the “quote of the day “ today ?